“When someone attacks you, you have two options: become a victim or become the victor,” said Chris Caracci, former Naval Special Warfare Development Group (DEVGRU) member and proponent of alternative-force tactics. “I like teaching people how to survive a deadly situation. “I’m not into creating victims, and I’m surely not about losing,” Caracci said. Alternative force is essentially using outside-the-box thinking when dealing with a situation. It’s a way to create more options when it seems like your options are limited. For alternative-force tactics, it’s crucial to understand how the reactionary gap can give you time to think and react. With the attention on use-of-force situations, there has been a call to train law enforcement to use different tactics in such situations. All police interactions are dynamic, and Caracci believes law enforcement could benefit from expanding its toolbox. “Today, police officers have a gun, a Taser, pepper spray and then an intermediate weapon. These items can aid them in a use-of-force incident, but if an officer does use them, at some point a de-escalation of the situation will happen, and an officer must be prepared to handle that. As a law enforcement officer, the most unique role in society, the ability to raise and lower their force level to handle a situation directly correlates to their role as a peace officer. In any situation, lethal force should always be a last resort. The most basic premise of surviving any potentially lethal encounter is to plan, prepare and execute. Many people often forget this and don’t have the most basic “what if” plan. Without such a plan, when something occurs, they freeze and are unable to decide what they can or should do. Alternative-force training gives confidence to people to let them plan, prepare and execute a plan based on proven training principles. 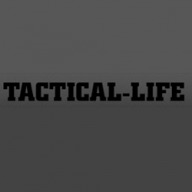 The post Survive Using Chris Caracci’s Alternative-Force Tactics appeared first on Tactical Life Gun Magazine: Gun News and Gun Reviews.